Given the box office shattering success that Deadpool had at the box office, it was nearly a foregone conclusion that a sequel was on its way. The word was the follow-up had been given the green light before the first film ever got out of the box. It’s understandable that Fox will want to see Deadpool 2 on the screen sooner rather than later. So how soon might that be? If we were putting money on it, we’d keep our eyes on January of 2018 as the most likely release date. While Deadpool 2 had been green-lit back in February, there were still a few things to iron out. The biggest one was that they didn’t actually have Ryan Reynolds under contract to reprise the role of Wade Wilson. Heroic Hollywood is now reporting that the deal is done to get Reynolds back, with an eye to beginning production in the fall of this year. We also know that just last month, Fox locked down two release dates for upcoming superhero movies. One was October 6, 2017 and the other was January 12, 2018. The belief was that the October date was being held for the oft-delayed Gambit movie, which had previously been scheduled for October of 2016. If that’s the case, then that January 2018 is looking like a strong possibility for Deadpool 2. It would keep the franchise in the same approximate time period as the first, which should help ensure similar box office. The Valentine’s Day weekend wasn’t really available in 2018, however, as Marvel already has it locked down for the Black Panther movie. Beginning production in the fall of 2016 would give them something in the neighborhood of 14-16 months to go from beginning production to release. While that wouldn’t be enough time for a lot of big budget superhero movies, Deadpool is not one of those. 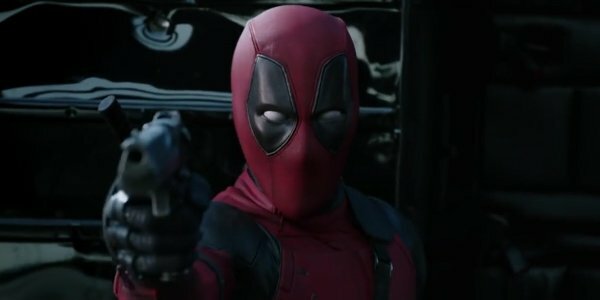 The first film had a fairly modest budget by superhero standards and it didn’t require a lot of post-production digital effects work, meaning Deadpool could get to screen much faster. From everything we’ve heard, the plan is to keep Deadpool 2 modest, like its predecessor, so an equally quick turnaround is likely. There are, of course, a few other possibilities as well. Deadpool 2 could actually turn out to be the rumored X-Force movie instead. We know that we’re expecting to see Cable in the next film, and once you have Deadpool and Cable on board, it’s not that far a trip over to X-Force. The specifics of Ryan Reynolds' deal are not currently known, so we don’t know that Deadpool 2 is the only thing he’s signed on for. Multiple movie contracts is now standard operating procedure in the franchise movie business. In addition to Cable, we’re also expecting to see Domino make an appearance in the next Deadpool movie, and now that things are moving forward, don’t be surprised to hear those casting rumors start up.